It may be helpful to look at a history of website design and how it has evolved since the World Wide Web was born in 1990. From 1991 to 1993, websites were text-only pages viewed using a very simple browser. In 1993, the Mosaic browser revolutionized the internet with sounds and graphics, giving users an engaging experience. In 2004, Web 2.0, marked a noticeable shift in websites, where static pages gave way to dynamic and user-generated content. Keep in mind, these websites all ran on a desktop browser. The world changed in 2007, when Apple released the iPhone and created the demand for a mobile web. 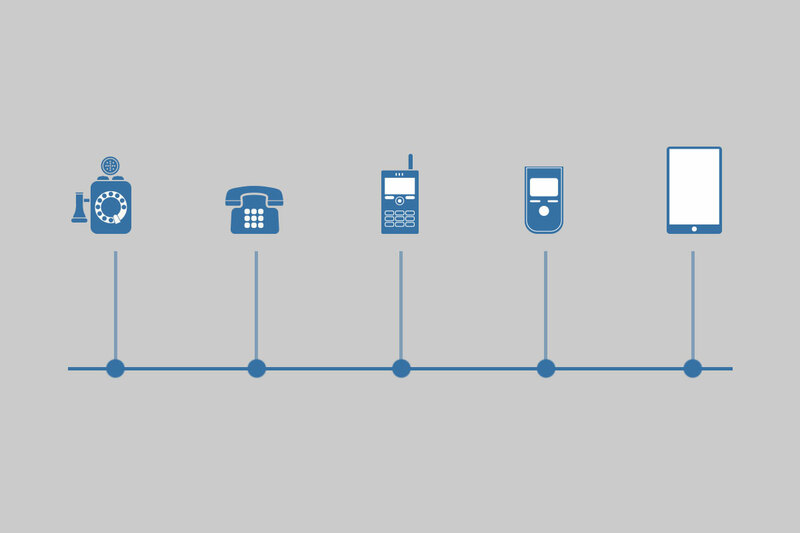 Between 2007 and 2010, marketers were faced with the challenge of reaching the right customer, on the right device with the right message. Mobile specific websites tried to address this challenge but only created complex publishing systems. As smartphone technology and usage skyrocketed, responsive website design’s approach in 2010 was to make website pages render well regardless of the device or screen size. So, what is the drawback of these responsive websites? Unfortunately, these beautiful responsive websites many times loaded too slowly for mobile users. Google is trying to solve this issue with the introduction of the AMP Project in 2015. What exactly is the Google AMP Project? 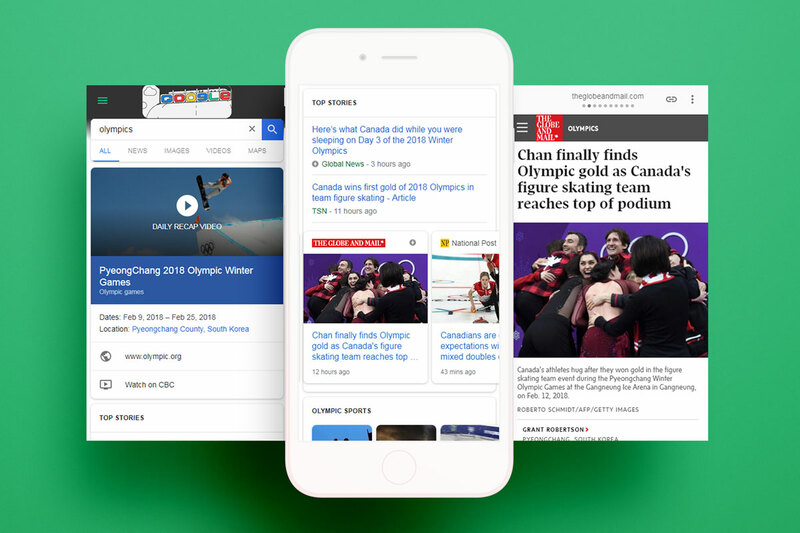 Led by Google as a direct competitor to Facebook’s Instant Articles, the AMP Project is trying to improve the performance of web content and ads on mobile. This is a very important challenge to solve as not all mobile users have the luxury of lightning fast networks and state of the art smartphones. Think with Google’s 2016 report notes that 70% of cellular network connections globally will occur at 3G or slower speeds through 2020. AMP Pages have been a game changer for businesses such as news and publishers. Why isn’t every online marketer using AMP Pages then? Let’s take a look at the pros and cons. Google AMP pages have been very beneficial for news publishers, who rely on digital advertising revenue. AMP Pages are very fast on mobile devices. They only load the content that is visible on the screen of the device. Content loads as it comes into view based on the user’s actions. In addition, large blocks of text are not downloaded when viewing an AMP Page. During the launch of AMP Pages (and still today, but not guaranteed to remain), Google has added a small icon (lightning bolt in a circle) to pages on the SERP (Search Engine Results Page) indicating that the page is an AMP Page. In reality, most consumers would not understand this icon and therefore an increase in organic traffic is not expected. Google has been testing a carousel feature on some searches, news and recipes for example, which allows users to scroll through AMP Page results. However, this is not necessarily a permanent feature. The AMP Project is very limited. It enforces websites to play within their rules. Large blocks of code are removed to increase performance and many elements such as navigation, backgrounds and dynamic features are removed. This can have a negative impact on a hotel website. If you compare many AMP Pages from various publishers, you will start to notice that they look very similar. The publishers are limited to use the AMP HTML components or risk not being indexed as AMP Pages by Google. If you are trying to stand out from your competitors and you are both using AMP Pages, this could prove to be difficult. As noted above, news and publishing sites have seen the benefits of AMP Pages, specifically high pages viewed and monetization of ads. But is a hotel website the same? Online marketers have spent a lot of time and money to get a travel shopper to the hotel’s website to book a room, not view as many pages as they can. These are very different use cases and should be treated as such. Vizlly’s conversion driven websites are designed with Google’s search algorithm in mind so that you’re found by travel shoppers and win their booking. Today, Vizlly websites do not support AMP Pages. Why? We constantly review advances in technology and decide whether we should invest in new opportunities that will generate real value for our customers. We want all our hotel websites to be at the top of Google’s SERP, however, there are many factors at play. Google has not declared AMP Pages as a ranking factor on its own. But the user experience metrics like click through rates, lower bounce rates, time on page and improved page speed are. 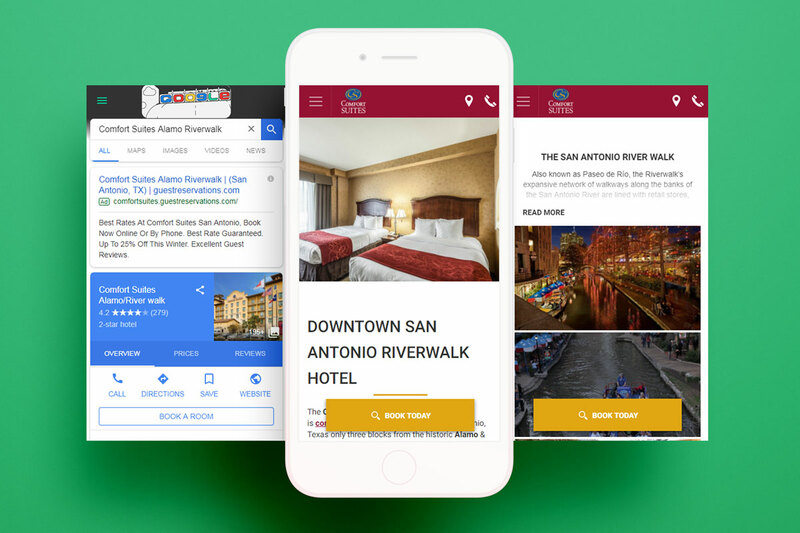 Vizlly’s website technology is constantly evolving to positively address these user experience metrics without AMP Pages, which allows hotel websites to have a great user experience, and stand out from competitors without treating all users like news article reading users. Leonardo is committed to stay up to date on new trends such as AMP Pages to make sure that our hotel websites drive more direct bookings. 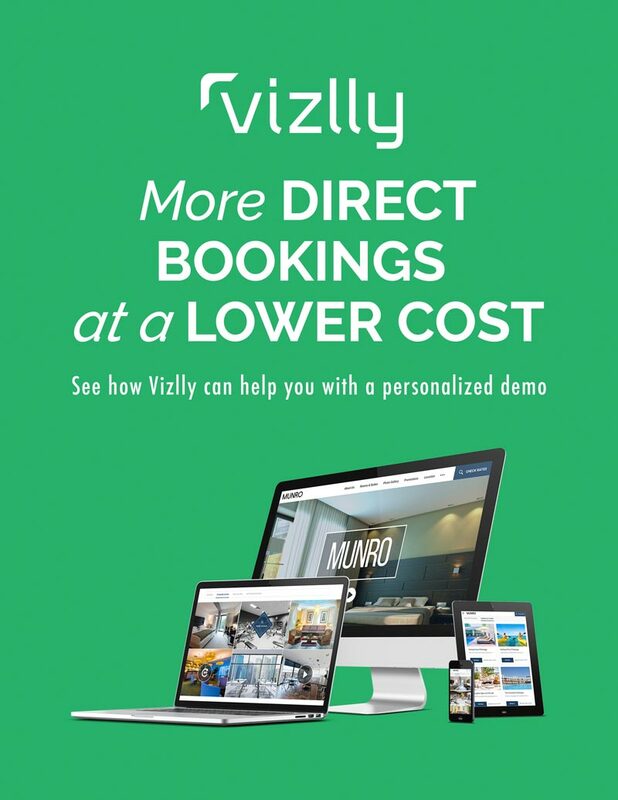 Request a demo to see how Vizlly can help your hotel drive more direct bookings at a lower cost!